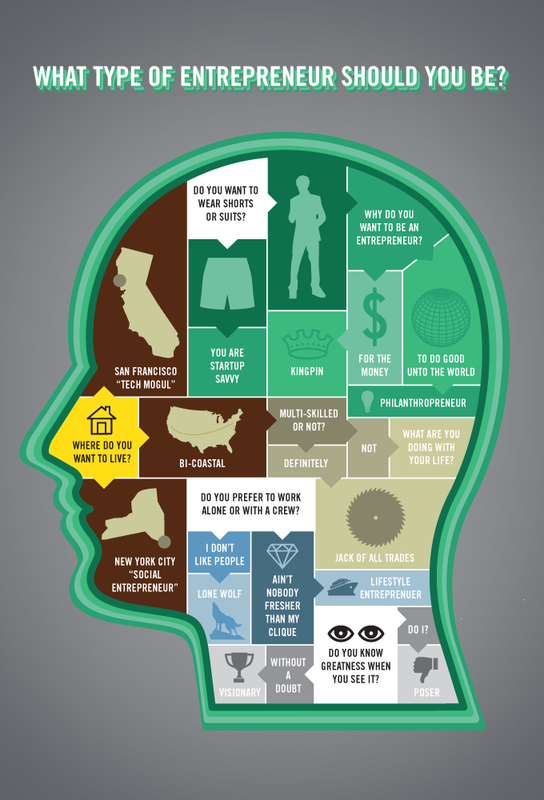 What Type of Entrepreneur Should You Be? Contrary to popular belief, not all entrepreneurs are created equal. Sure, you can broadly classify an entrepreneur as a person who either wants to make a lot of money or someone who wants to change the world, or both. Though, the fact of the matter is that there are many different types of entrepreneurs out there. The only question is, which one are you? Now that you’ve decided to become one, it’s time to narrow down the playing field to pinpoint which type best fits your personality. You’ll be relieved to know that you don’t have to take this journey alone. To assist, we’ve compiled a tell-all flowchart that will guide you through the process. Remember, this is just hypothetical—a test run, if you will. So even if you make a wrong turn below, you always have the chance to make a U-turn in the real world.